I have started and stopped this article two or three times over this last year, but the sad moment, like most other sad moments, has finally and irrevocably presented itself. 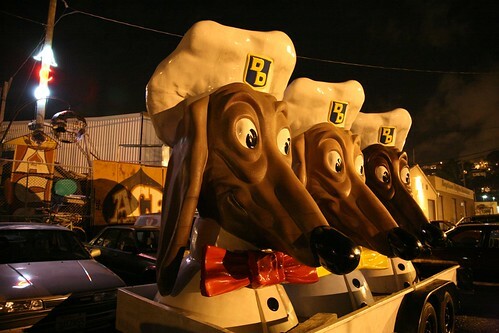 Ace Auto aka Ace Junkyard, one of San Francisco’s most interesting venues for shows, music, art, work, shenanigans, and a nice place to find the ’67 Plymouth Valiant window winder of your dreams, is closing down for good at the end of the year. After one full year almost to the day of Bill the Junkman valiantly battling with lawyers, contracts, and intractable landlords and ladies, the war has been lost. Artists, builders, dreamers, power tool racers, military surplus crane enthusiasts, Geiger counter owners, gearheads, rodeo klowns, welders, cheerleaders, noise band musicians, dumpster divers, drag racing drag queens, shiftless ne’er do wells, and wayward youth, lend me your ears. 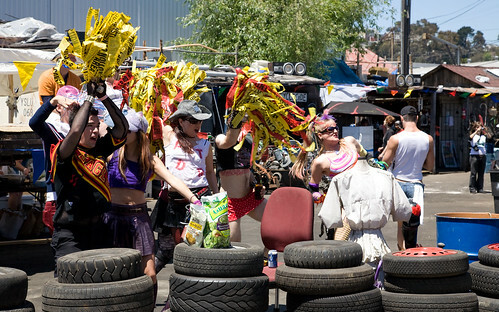 St. Stupiders, Lost Vegans, Horrible Dangerous Junkyard Party-goers, Cycleciders, imbibers of rusty tin cans full of Tecate with scrap metal Jim Beam chasers, the hour has come. For real this time. She won on the building permit clause of the lease. Yes, I would have won the eviction and the lease extension. However even if I won on these issues, I would have needed to pay her the 8+ months of back rent, (about 40K) and I still would have only had 4 more years left. That and the lease has a clause that states if she get a building permit (if only for a dog house) then I need to be out in 60 days. So even if I won she would take my rent money and use it to get the building permit and I am still out in sixty days. I have been here for 25 years, well over half my life was spent here, While on one hand, I walk out of here in less than 90 days, 53 years old, 10 of thousand of dollars in debt and no job. The other side of it is…. well it was and is worth ever penny of it. The people, events, art, and most importantly to me the parts of my self that I found, and the person that I have become. A large part of who am now is because of the love and support on my family of friends I have made from this place. Has for what is next for me? for now a B I G push to get this place closed up and cleaned out. 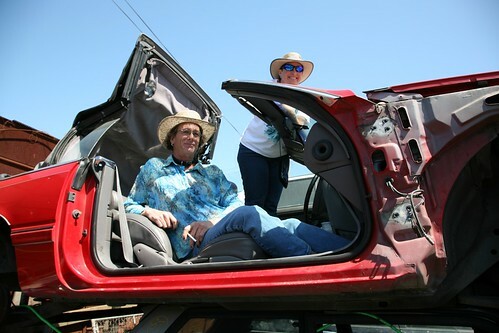 After that i have no clue, there just not a lot of demand for transgendered junkyard mangers nowadays. I may go out to Honolulu to my folks’ and surf for a week, but as nice has Hawaii is, it not home, as I write this at the yard, i feel like I am going to be a bit “homeless”. 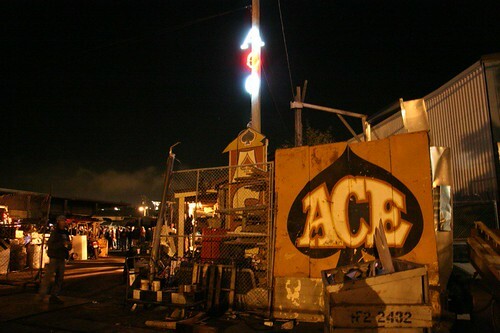 Not to worry, I have a place to sleep at night, but truly Ace was my home, and I know for a lot of you, it was as well. Friends, neighbors, family. Anyone who has ever been to the Junkyard to listen to Mongoloid, Attaboy and Burke, Neighborhood Bass Coalition, and many more; if you have ever borrowed a tool, come around for gossip and advice, stored a thing, learned a thing, or moved that pile of heavy stuff over next to that other pile of heavy stuff; if you ever wondered what the hell this place was that your friends had taken you on your night out, or just enjoyed knowing that the junkyard was there when you needed it, raise a glass. 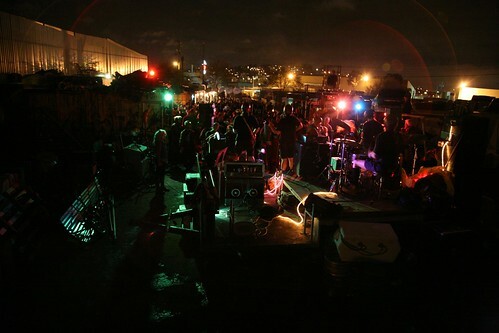 Ace Junkyard will forever be a singular font of arts, culture, wisdom and indelible grease stains. We will never see her like again.